This simple turkey burger recipe is great for summertime grilling. By using the ground turkey with some spices and sauces, the flavors will waken up your taste buds. 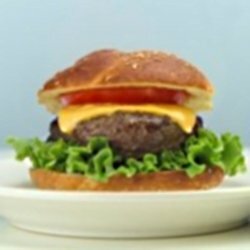 So if you are in the mood for some grilled burgers, but don't want to add up the fats and calories, the turkey burger is a great alternative. This healthier version will let you enjoy your cookout without ruining your weight loss progress. Warm up the grill, grab the apron and spatula and let's get grilling. 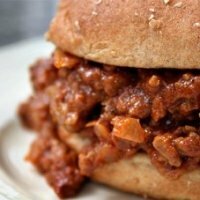 Using ground turkey breast as a substitute for ground hamburger is a great way to reduce some unwanted fats, calories and Weight Watchers points. With all the seasonings and sauces, your turkey burger will be juicy and delicious. Top it off with some tomatoes, lettuce and pickles for some extra flavor with very little added calories and no extra WW Points. Lightly spray grill with cooking spray to prevent sticking..
Preheat the grill to medium low / medium heat. Using a large bowl, mix all the ingredients together. Form turkey mixture into 8 even patties. Place burgers on the grill and cook for approximately 4 - 6 minutes per side or until no longer pink. The WW Freestyle SmartPoints do not include the nutrition for the turkey breast or the eggs. Add some cheese, mushrooms, tomatoes, lettuce or your favorite toppings to change up this sandwich. Grab some napkins for this sloppy but oh so tasty sandwich. This one also uses ground turkey breast to make it healthier. 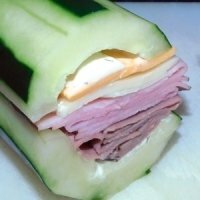 This is such an easy and healthy sub sandwich. The cucumber replaces the bread and holds in all the stacked ingredients. If you are in the mood for some BBQ ribs, why not turn it into a sandwich. These are so delish and filling. 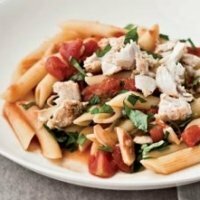 This penne stir fry uses swordfish as it's main ingredient making this lower in Freestyle SmartPoints. 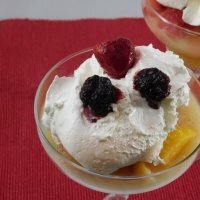 This dessert recipe is a frozen sweet treat you can have for only one WW point so it's practically a guilt free treat. 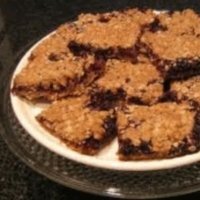 Make up a batch of these breakfast bars and you can grab a quick breakfast for those hectic mornings. Learn how to control your portion sizes in order to reach your weight loss goals. Learning to curb your appetite can help you eat healthier and lose those unwanted pounds quicker. Rev up your metabolism with these weight loss workouts.